Two people were found dead in a South Euclid home early Saturday morning following a 12-hour standoff tied to the investigation of a Beachwood doctor who was found shot to death on Friday. 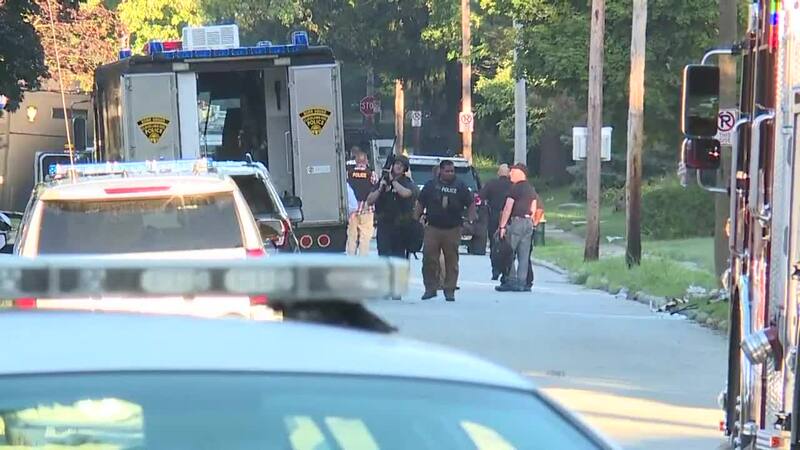 Two people were found dead in a South Euclid, Ohio home early Saturday morning following a 12-hour standoff tied to the investigation of a Beachwood, Ohio doctor who was found shot to death on Thursday. Around 7:30 p.m Friday, SWAT converged on a second house belonging to Dr. Richard Warn in the 4300 block of Elmwood Road to serve a warrant with homicide detectives. Warn was found dead the previous day inside his Beachwood home on Brentwood Road. SWAT officers made entry into the residence using an armored vehicle and were met with gunfire. Authorities retreated and over the next 12 hours attempted to make contact with the people inside. On Saturday morning SWAT entered the house and found two white males dead inside, police said. The Ohio Bureau of Criminal Investigation is processing the scene for evidence. Police said the two men were persons of interest in the doctor's death. Their identities have not been released, and it's not known how they died.